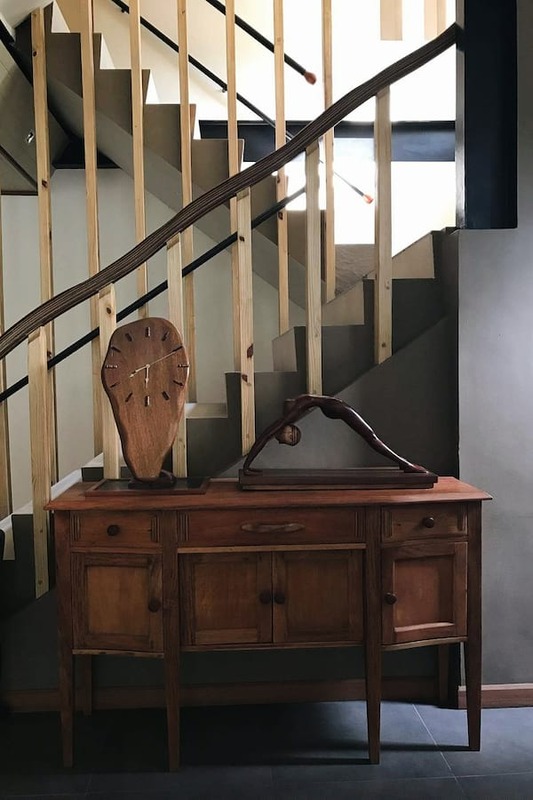 When people think of spending weekends and vacations up north, they typically think of the beaches of Pangasinan or La Union, the chilly weather and beautiful pine trees of Baguio, or the heritage sites in Ilocos. 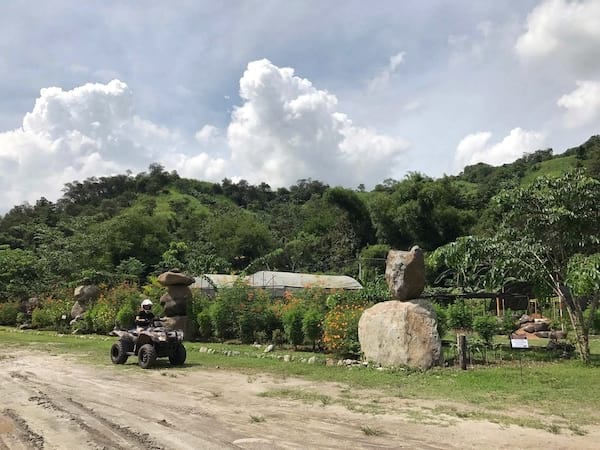 Little do people know that there’s an eco art resort located in the borderline of Clark Freeport Zone and Bamban, Tarlac. 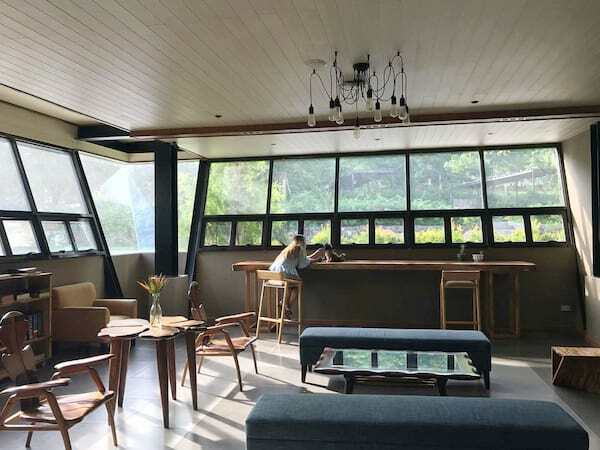 Green Canyon Eco Art Resort is less than a 3-hour drive from Metro Manila. It's easily accessible, and should make it in your local travel bucket list! 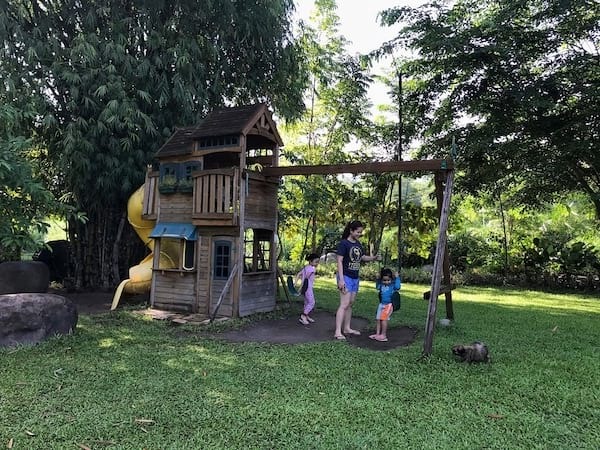 Green Canyon Eco Art Resort promotes positivity of nature and wellness. 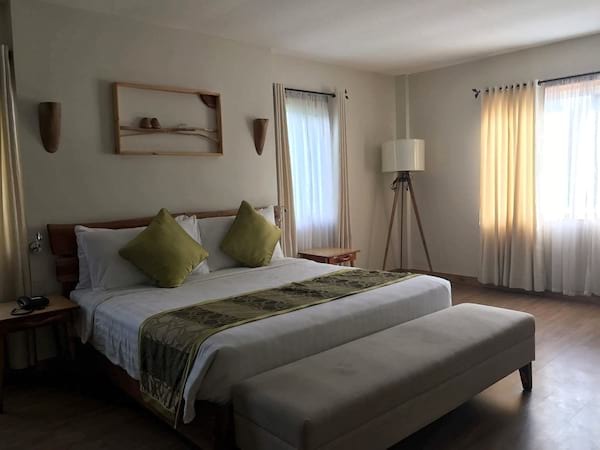 Their aim is to provide for their guests a getaway venue experience that is engaged with various outdoor recreational activities and comfortable amenities. The resort also helps local communities by employing Aetas from the nearby village. You may opt for a day tour or an overnight stay at this unique nature-filled hotel. 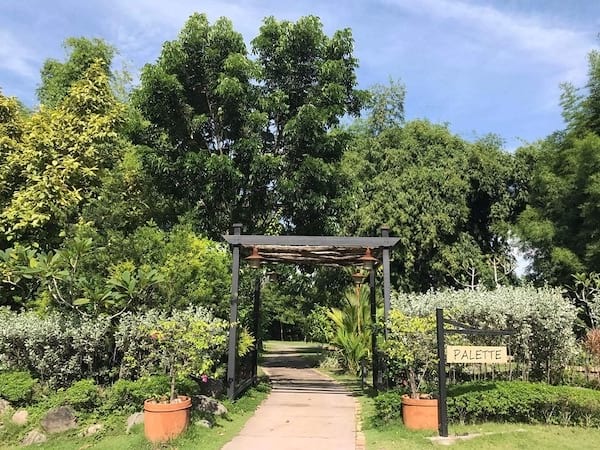 Let’s take a stroll around the 29 hectare property, shall we? 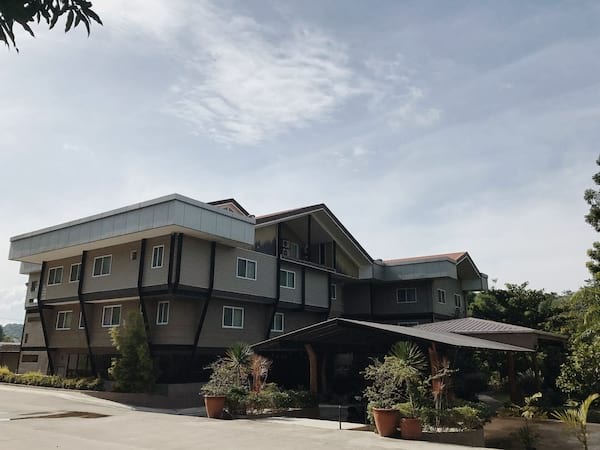 Green Canyon wants to connect people of different backgrounds to the beauty of nature, so they carefully planned everything – from the location down to the design of the hotel and other amenities. 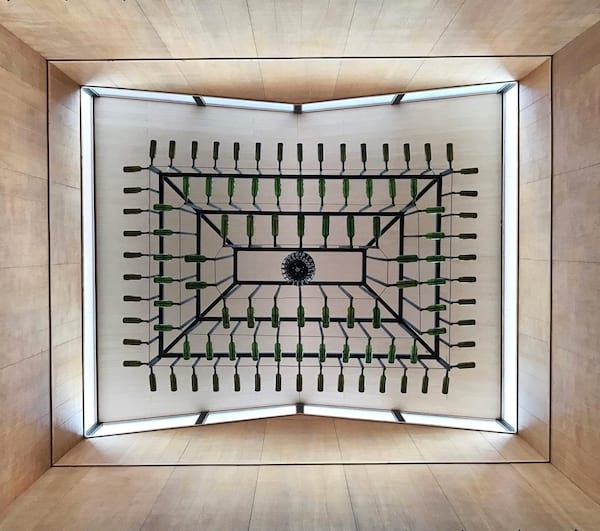 The hotel’s intelligent design minimizes heat and optimizes the circulation of air in the structure, all while providing natural daylight and scenic views around the hotel. 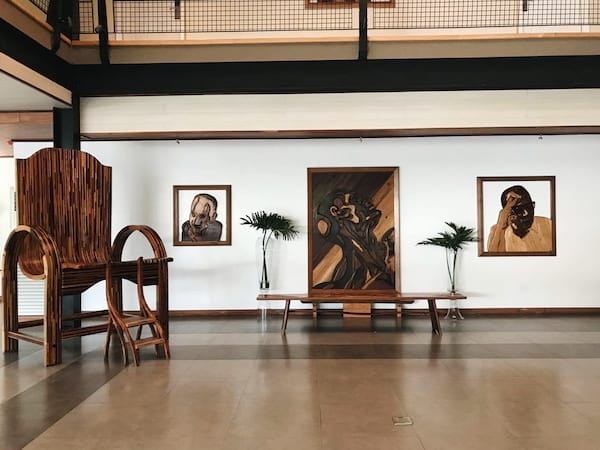 The hotel lobby looks an art exhibit of its own because of exquisite wooden pieces. 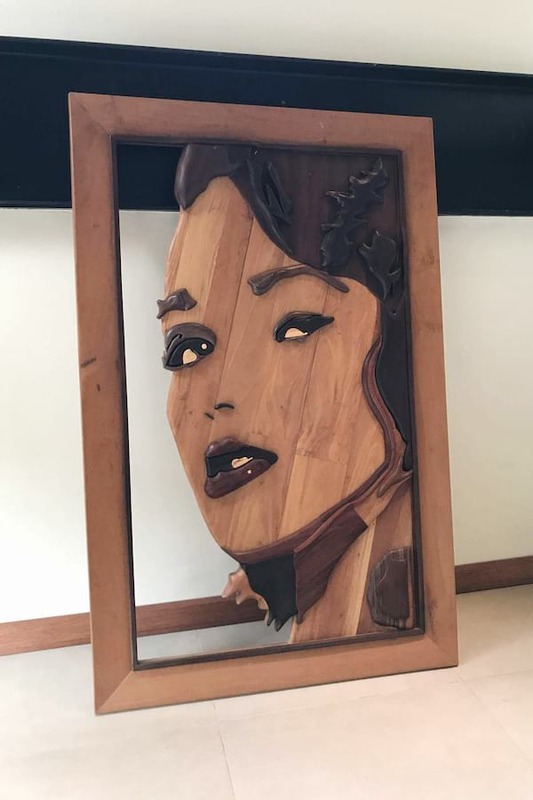 All featured accent art pieces found in the property are crafted by one of the owner’s sons, Filipino artist Niccolo Jose. 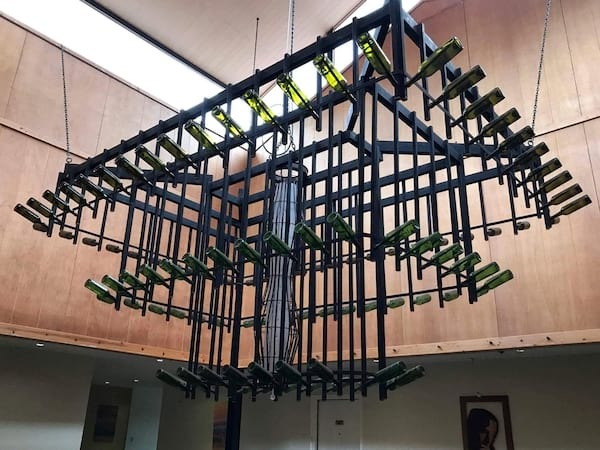 Yet another head turner is this beautiful chandelier made out of empty wine bottles. 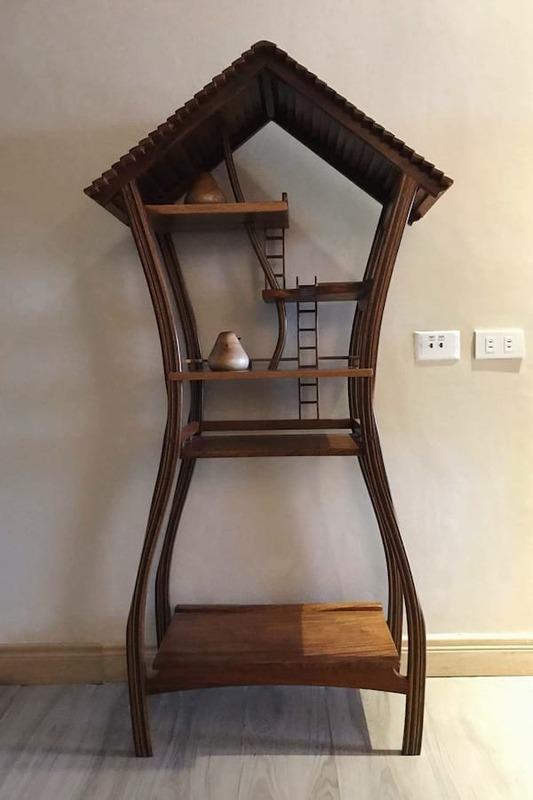 Their boutique art hotel, where each room is treated as an art gallery, only has 47 rooms. You may choose from 8 room categories: Standard, Deluxe, Group Room, Suite, Group Loft, Presidential Suite, Presidential Loft, and Casitas. 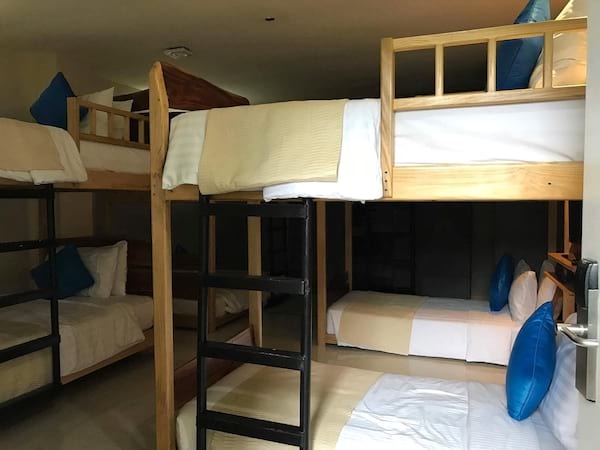 Room rates range from P5,000 to P14,000, and all rooms are equipped with an air-conditioner, cable television, and WI-FI access. 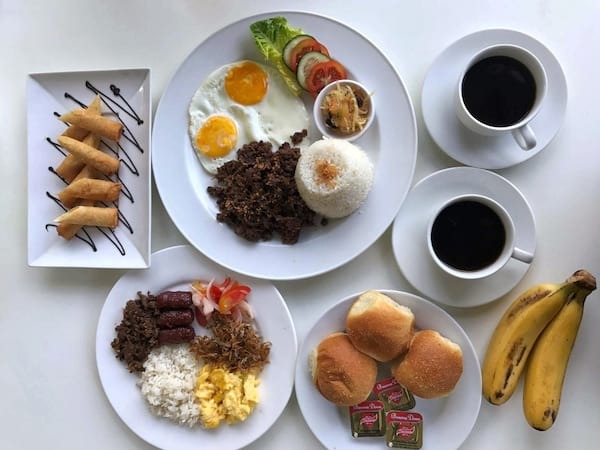 Rates are also inclusive of complimentary set breakfast, free use of the symphony and wave pool, free use of bicycles, and free sunrise or sunset mountain hiking! Massage and body treatments are also available to pamper yourself during your stay. 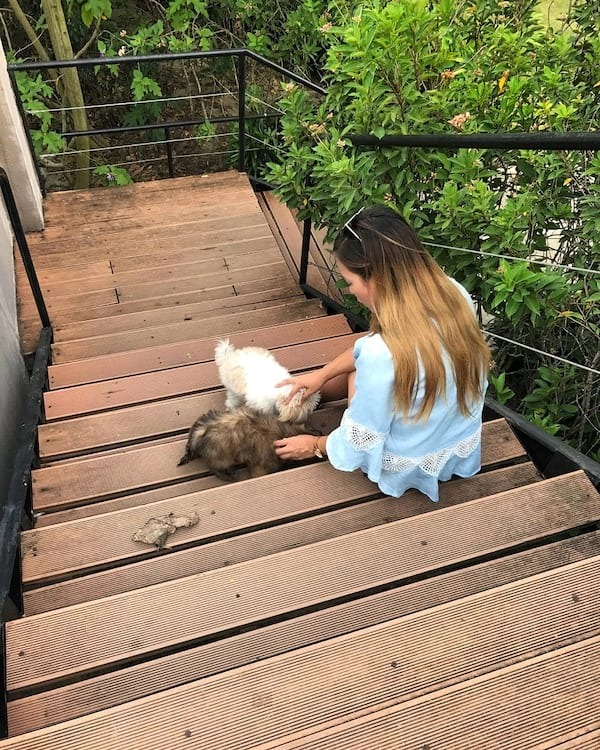 One of the many things that made us want to stay at Green Canyon is that guests are encouraged to bring their fur babies with them! Yes, you read that right--dogs are very much welcome here! 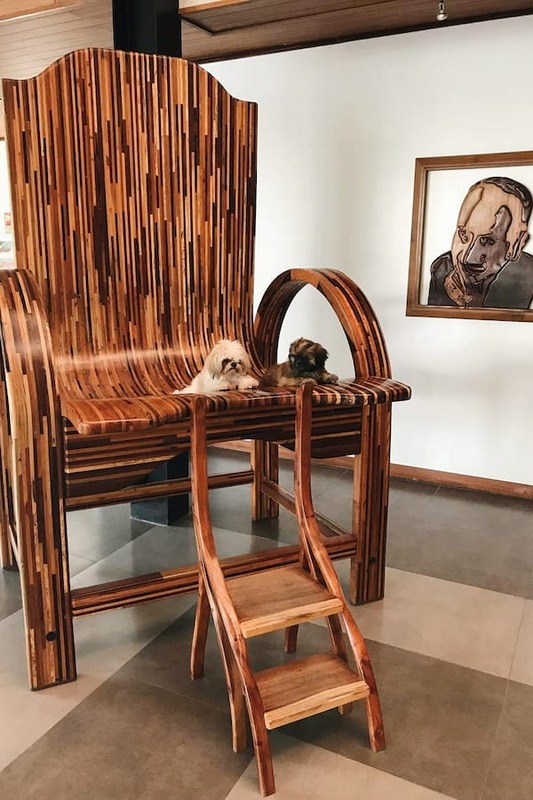 Just by adding P1,000/day to your room charge, your pet will be provided a pet bed and can run and play anywhere they want! For the dog lovers, here's a reason to roadtrip to Tarlac soon: Green Canyon will be holding a two weekend dog sporting event! 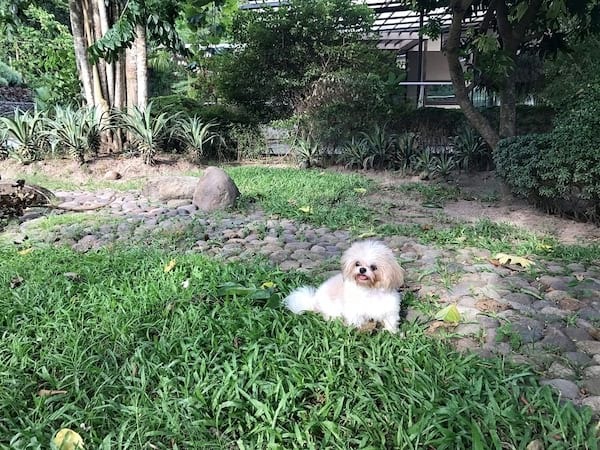 The first weekend, which will happen on November 25 and 26, 2017, will be a day filled with outdoor fun and games for pet owners and their dogs. The following weekend (December 2 and 3, 2017), there will be a dog sports competition among the country's top canine athletes. Dubbed as "The IronDog Challenge," the second weekend is a pentathlon in obedience, dog agility, scent work, swimming and disc dog (frisbee). I can imagine how happy dog parents are while reading this! Now, let’s explore other parts of the resort. 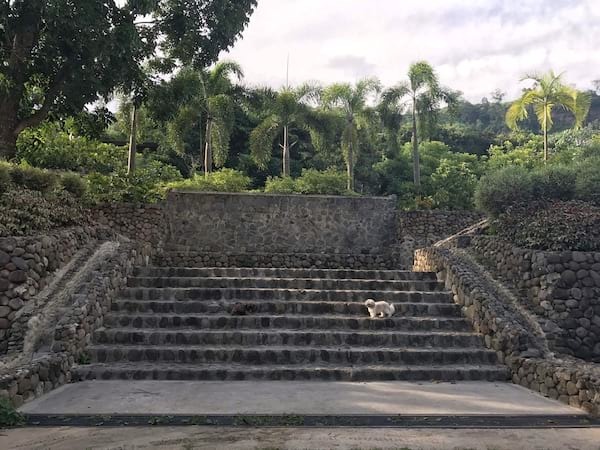 On the way to the pool area and the pavilion, you will pass by this area which is made from lahar to tell the story of the place and to create something beautiful out of it. 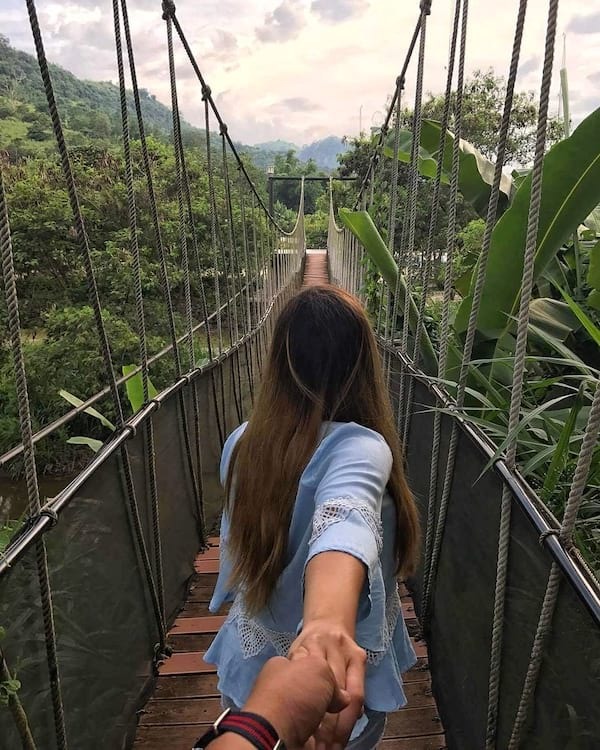 This hanging bridge is one of your best bets for IG-worthy travel photos! Green Canyon also offers pre-nuptial photo shoot packages, and this is one of their recommended spots for a unique photo shoot. 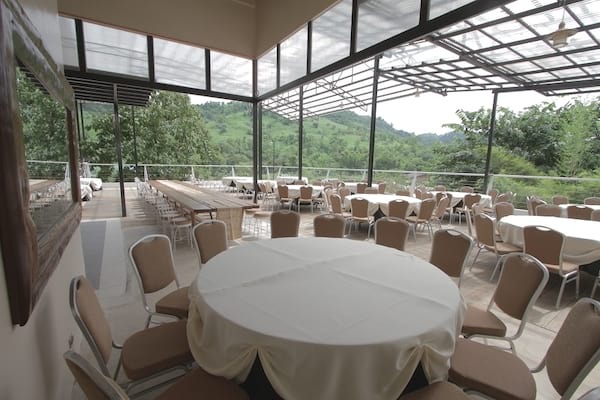 Aside from being an awesome pet-friendly hotel and a great venue for photo shoots, Green Canyon also has a three-story pavilion ideal for holding corporate events, meetings, family gatherings, and weddings. 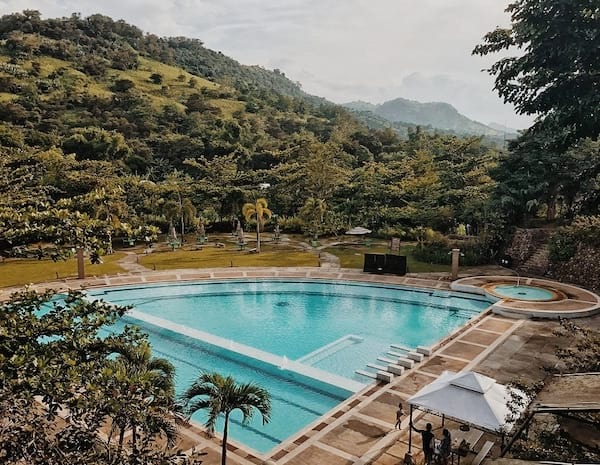 With such a spectacular view of nature and impressive amenities, there’s no surprise Green Canyon is one of the finest choices in Tarlac for special events. Don’t forget to take a dip to relax and unwind during your stay! Green Canyon has two pools – the Anahaw and the Wave pool. 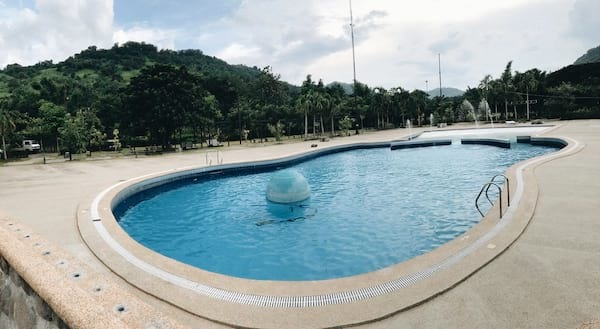 Pick a pool and enjoy a swim with a scenic view of distant mountains as well as the resort’s own green expanse. 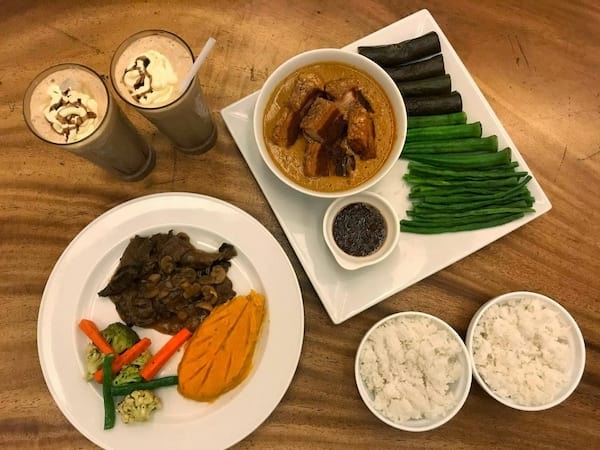 For the hungry, Palette is Green Canyon’s al fresco restaurant that serves a variety of Filipino dishes. Having their own farm made it possible for the resort to locally source most of the ingredients that the use in their dishes. Love the great outdoors? 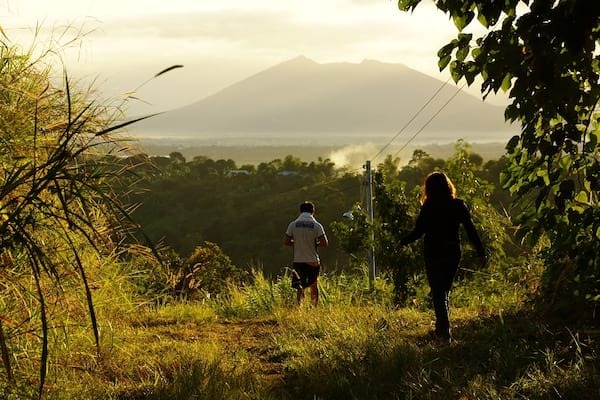 Nature lovers and hiking enthusiasts can go hike Mount Balakbak during their stay at the resort. The trails are friendly for beginners and experienced hikers alike. Trek to the summit to catch a breathtaking view of the sunrise or sunset. Green Canyon also offers Mt. Pinatubo tour packages. For adrenaline junkies, you can explore the resort’s expansive property and cover all types of terrain with a thrilling ATV ride! 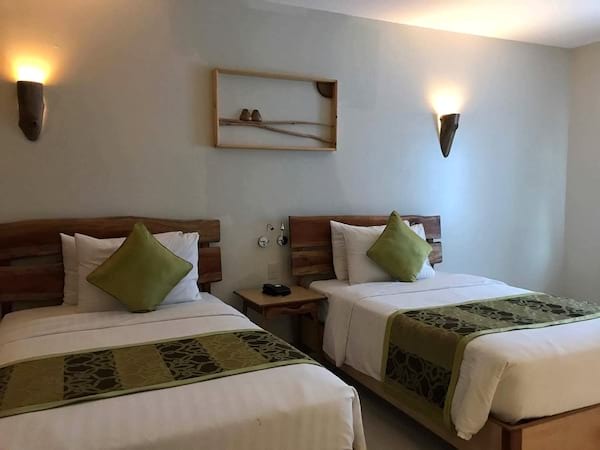 Green Canyon Eco Art Resort is located at San Vicente Road, Clark Special Economic Zone. 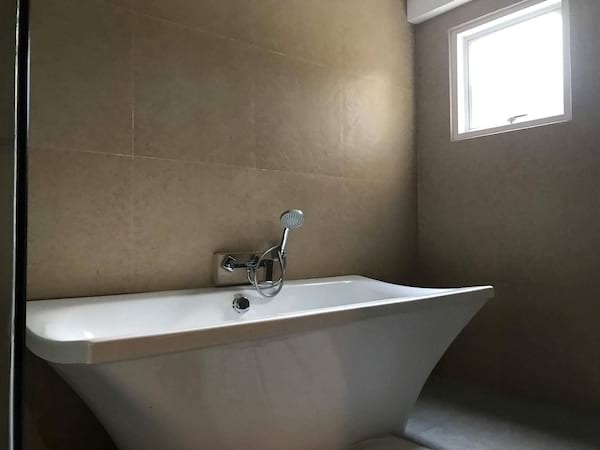 Call 02 721 7568 (Manila Office) or 045 499 4800 / 02 584 4121 (Clark Office). 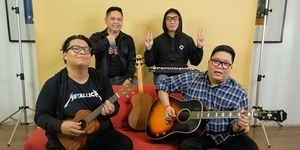 Visit www.greencanyon.com.ph and follow Green Canyon on Instagram (@greencanyonph) and Facebook (/greencanyonph).